The Healthcare and IT Marketing Conference (HITMC) is organized by HealthcareScene.com. Healthcare Scene is a network of influential Healthcare IT blogs, health IT career resources, and conferences that cover everything from EHR to mobile health. Our goal for the conference is to provide a unique event for healthcare and IT marketers and PR professionals to learn about the latest trends in marketing and PR from both inside and outside of healthcare. After an extremely successful first ever Healthcare and IT Marketing conference in 2014, we started to realize that HITMC really stood for Healthcare IT Marketing Community as opposed to Conference. Each year we hold our annual HITMC conference, but we also host smaller meetups and events throughout the year that bring together an amazing community of people. You can learn more about the healthcare marketing community on HITMC.com along with finding great content, webinars, and the monthly #HITMC Twitter chat. We’re excited by the high caliber of people involved in the community. Marketing to doctors, practice managers, patients, and hospital executives is a unique challenge, but with the right strategy you can break down the barriers and get your story heard. Along with the amazing content and sponsors of the event, we’ve learned that there is a lot more to the conference than just education. We really bring together the Healthcare and IT Marketing community in a way that had never been done before. Many of the attendees love having a community of like minded professionals in the same room where they can talk about their related efforts to reach doctors, hospitals, and patients. John also co-founded two companies: InfluentialNetworks.com and Physia.com, and is an advisor to multiple healthcare IT startup companies. Plus, John is also the Founder of 10 other blogs including the Pure TV Network and Vegas Startups. John’s 25+ blogs have published over 20,000 blog posts, garnered over 40 million views and had over 200,000 comments. John is highly involved in social media, and in addition to his blogs can be found on Twitter: @techguy and @ehrandhit and LinkedIn. 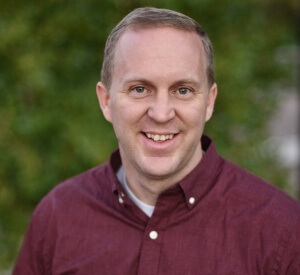 He is an influential thought leader and a winner of Federal Computer Week’s coveted “Fed 100″ award given to IT experts that have made a big impact in the government and runs three successful blogs. 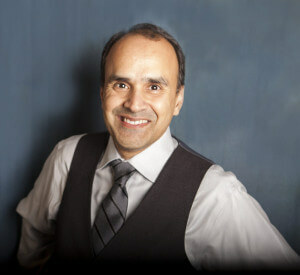 At http://shahid.shah.org he writes about architecture issues, at http://www.healthcareguy.com he provides valuable insights on how to apply technology in health care, at http://www.federalarchitect.com he advises senior federal technologists, and at http://www.hitsphere.com he gives a glimpse of the health-care IT blogosphere as an aggregator. 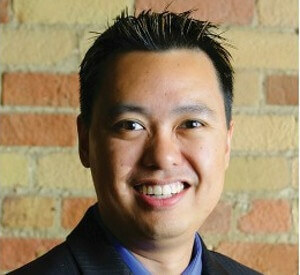 Colin Hung is an award-winning Marketing Executive with more than 15yrs of healthcare and HealthIT experience. He co-founded one of the most popular healthcare chats on Twitter, #HCLDR and he has been recognized as one of the “Top 50 Healthcare IT Influencers”. Colin’s work has been published in the Journal of the American College of Radiology, American Society for Healthcare Risk Managers, and Infection Control Today. He is currently the Chief Marketing Officer and Editor at Healthcare Scene. Colin holds an Engineering degree from the University of Waterloo. Colin can be found on Twitter @Colin_Hung.